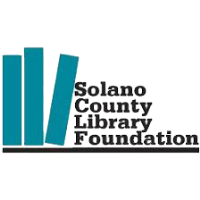 The committee for the annual Women's History Luncheon, under the auspices of the Solano County Library Foundation, is seeking nominations for the 2019 Solano County Woman of the Year. This year's theme is "Visionary Women: Champions of Peace & Nonviolence" and nominations are due February 15, 2019. Nominees should be women who have led efforts to end war, violence, and injustice and pioneered the use of nonviolence to change society. "We are living in a time when now, more than ever, we need champions of peace and nonviolence. We see it in the headlines every day, and in marches held by our youth. Our Woman of the Year will represent the change we desperately need in terms of reducing violence and forging avenues of peace", said Josette Lacey, one of the co-chairs for this year's committee. Current Library employees, current elected officials or board members of the Solano County Library Foundation are not eligible for nomination. Nomination forms can be found on the Solano County Library Foundation website at www.solanolibraryfoundation.org. The deadline to submit the form is February 15, 2019. Nominations are reviewed by a selection committee and the recipient of the Woman of the Year will be announced by February 19, 2019. Proceeds from the annual luncheon fund library programs and books about women as well as literacy programs supported by the Solano County Library Foundation. This year's luncheon will be at the Nelson Community Center at 611 Village Drive, Suisun City from 11:30-1pm on March 15, 2019. Sponsorship opportunities and ticket information can be found by calling the Solano County Library Foundation at (707) 421-8075 or Josette Lacey at (707) 553-5363.